The models come with solid bases. Very solid. This can sometimes make rebasing a bit hard. They also have the occasional piece of skeletal scenery. This is a German manufacturer of science fiction and fantasy miniatures. The ranges include some undead, but unfortunately for us, only one skeletal character so far. These models come with slotted bases, in an oval shape, so rebasing is a piece of cake. In general sculpting is good and casting is excellent. 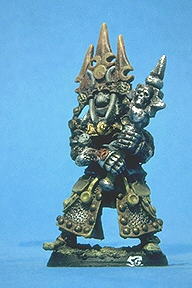 The model in question is quite big for a 28mm model, more like 32mm. Another manufacturer of mainly larger scale miniatures (54mm, 80mm, etc...) they also produce a range called "3D miniatures" which has 30mm miniatures in it's "Camelot" line. 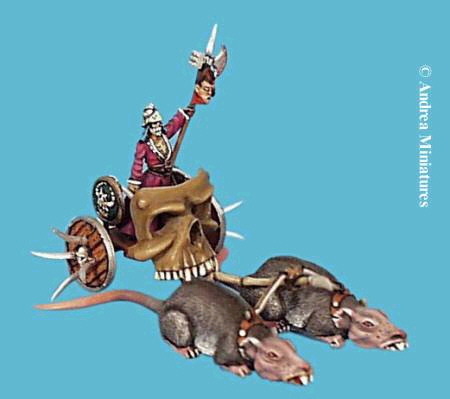 This line includes some skeletal warriors as well as an undead chariot. I haven't seen them in the flesh, but being "30mm" they'll probably be a bit taller than most other miniatures. Not to be confounded with Dark-Age Games. 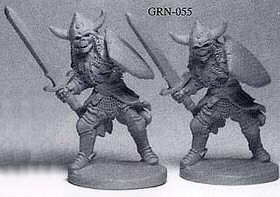 This manufacturer picked up a couple of older lines (Metal Magic, Grenadier's Guthrie models, etc...) as well as creating it's own 'Boobarians' line. Not much in the way of skeletons so far, but that can change. They produce some interesting undead models, but not too much on the bony side. They do have this skeletal armature that opens a whole lot of possibilities for posing and conversions.. Manufacturer of 10mm, 15mm, 25mm and 42mm ranges. Look in the 25mm range for "Greek Mythology". You'll find a pack of 6 skeletons called "The Children of the Hydra's Teeth". This, as far as I know, out of business company produced miniatures for many movie-based games including the "Aliens" and "Terminator" movies as well as the all-time classic: "Army of Darkness" (Evil Dead 3). 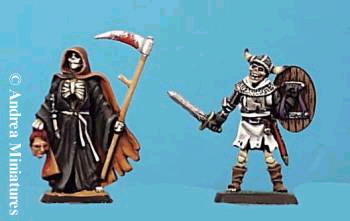 It is for this last game (a boardgame) that many undead models (so-called deadites) were produced. These models are somewhat smaller than the standard 28mm 'heroic scale' that we've got used to and come with solid bases. They are OOP, although they still appear in such places as eBay from time to time. I haven't seen them in the flesh, but judging from the movie they should be more or less generic skeletons. 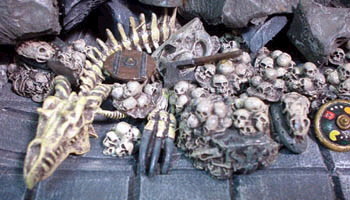 I know that this company makes/made skeleton models at some point. However, as the link to their webpage seems to be dead, it is possible that they went out of business. IMHO the sculpting of these models was not the best around either way. Another one of the oldies. They advertise some skeleton warriors, but there are no pics. The available models are a skeleton warrior with sword (FM-18), an elite skeleton guard (FM-26), a skeleton with halberd (FM-32) and a spearman (FM-33). This New Zealand company do three types of 'skeleton men'. None of the pics work though, and neither does deep linking. Judging from the pictures of their other models, quality differs, so try to see before you buy. They have two skeletons and a skeletal chariot in their "Mythic" line. No pictures, though. 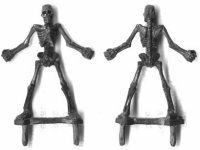 This manufacturer of mainly historical models in different scales has one "Cavalryman of Skeleton army" in their "Legend" range. No picture though. Another manufacturer of mainly historical models. 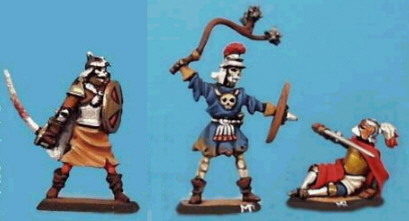 The TMP page for 1st Corps states they do "25mm: Fantasy: Roman skeletons", but I couldn't find them on the website.